So, some asshat parks in the spot you clearly shoveled out and dibs-ed with a lawn chair -- do you A) slash his tires, B) light his car on fire, or C) write a passive-aggressive note that makes him feel really terrible? You think it's the car-on-fire thing, but you're not totally sure, are you? 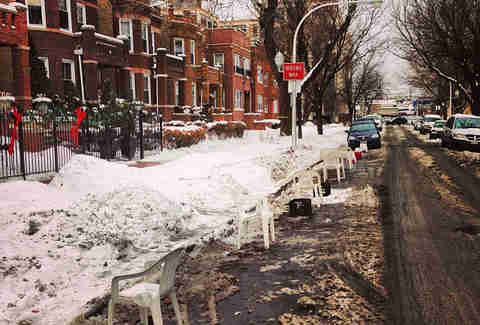 Thankfully, the fine folks at the Chicago Dibs Tumblr are, which's why we hit them up to help us put together an official rule sheet for every Chicagoan's favorite spot-saving pastime. Like, multiple inches in near-zero temperatures for starters. 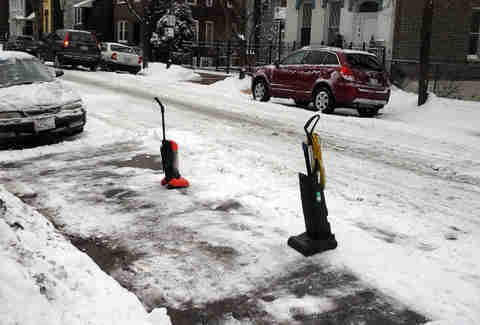 This may seem obvious, but there have been plenty of weaksauce attempts at pre-snow dibbing (too soon, guys). ... Not two blocks over. 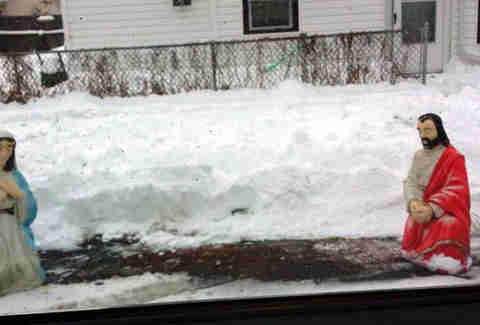 If your paranoid neighbor who watches everything you do can’t see your car, then it’s not a dibs. 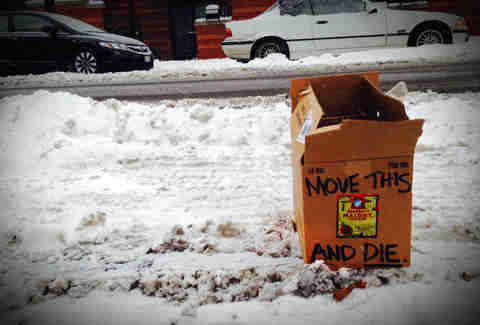 ... With a snow shovel or, for you renters, a tennis racket and a trash can lid. You’ve only earned the spot after exerting the proper manpower. 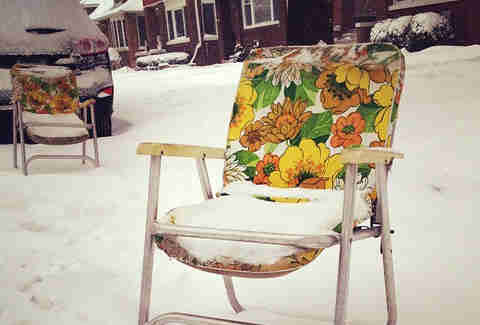 Lawn furniture (the older and uglier, the better). If it looks like a '70s shower curtain, you're on the right path. Household items that aren't getting much use. Our Lord and Savior. 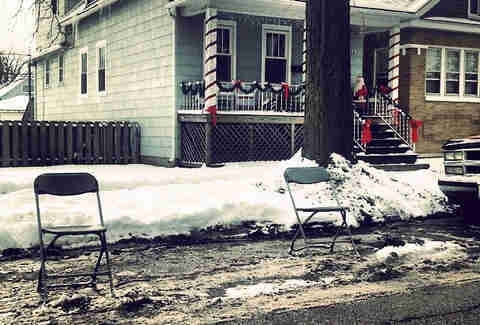 'Jesus Saves' was actually the first-ever dibs. Your grandparent’s walker. 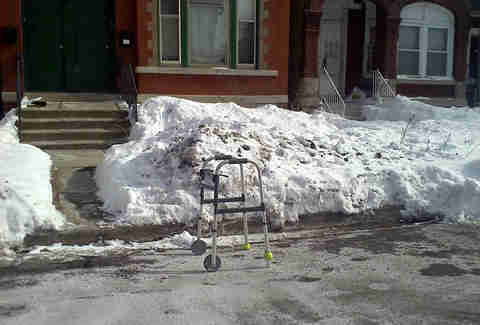 As if Winter for the elderly wasn’t already brutal enough. Cereal boxes. This is just garbage strewn in the street. Death threats. 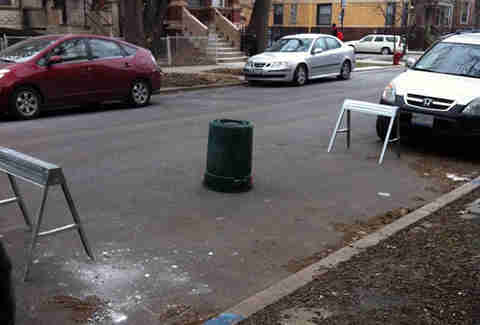 Somewhere, there’s a madman coming back from another Malort run with a wood chipper in tow. 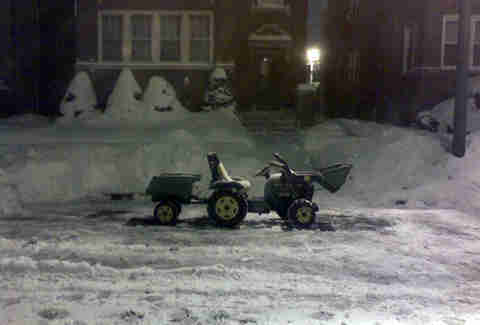 ... After the snowfall you dug it out from, not in perpetuity. Yes, we know you wanted to include the parking spot in your daughter’s dowry, but the 100 cattle will have to suffice. 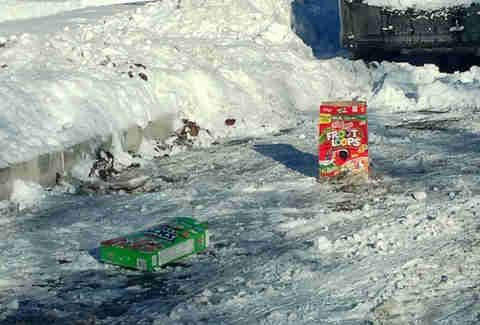 Cover a thief’s car in snow, or, for multiple offenders, throw a slice of baloney on their hood as a matter of street justice. 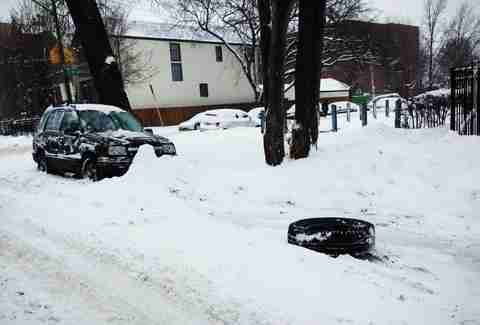 But just because Mayor Daley blessed the dibs tradition (issuing a “fair warning” to anyone who takes a dibs-ed spot), that doesn’t mean slashing someone’s tires is acceptable. Also, the person whose tires you’ve slashed now knows where you live, idiot. 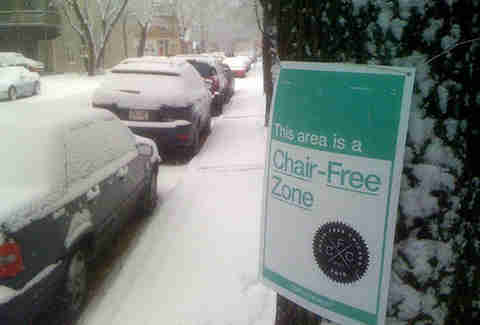 No, really... there’s an organization aimed at stopping dibs, called Chair-Free Chicago. 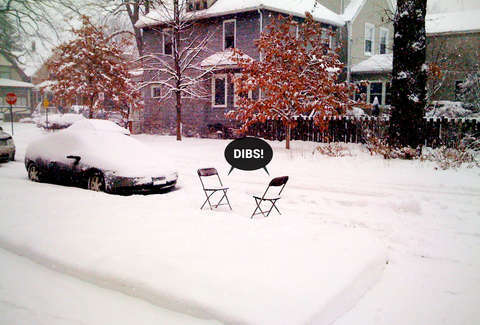 So, is dibs a scourge on society or a great city tradition? Let us know in the comments.